Gone are the days when people want to achieve what they call a 'flawless' base, these days it's all about that 'Instagram look', or if you're really clever like Rodial are; the 'Instaglam look'. 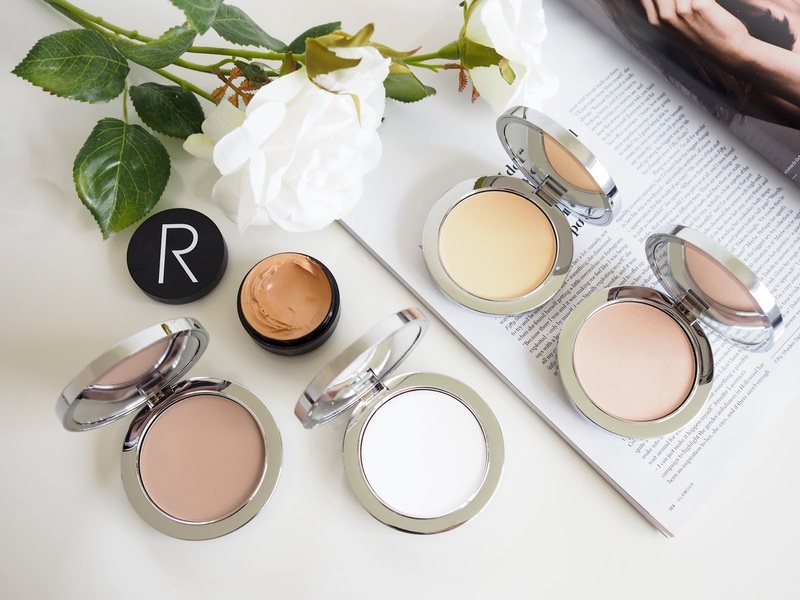 Rodial are up there with one of my very favourite beauty brands, everything is so luxurious, well packaged (check out the leather compacts!) and of such high quality. I've been trying out some of their cult products which help to achieve a base which looks so perfect, much like applying an actual Instagram filter to your skin. I have to mention the fact that these products are by no means affordable, they're really quite pricey... But, and it's a big but, I think the price are completely justified and everything is really worth splashing a bit of cash on. The Airbrush Makeup foundation is a really unique product, unlike anything I have ever tried before, and I have used A LOT of foundations. It's really heavy duty, so much so that it is described as a paste rather than a liquid and it gives the highest coverage I have seen. Initially I was worried that this would feel incredibly heavy on the skin, but I have been pleased to find that despite being able to camouflage almost any blemish or mark on the skin, it still manages to feel lightweight and my skin can breathe from beneath. When heavily swatched the colour is unfortunately too dark for my pale complexion, but when really buffed in and/or mixed with a lighter foundation I can manage to get away with it. The paste blends really easily with fingertips or a brush and leaves a flawless, smooth and luminous finish to the skin... There really is nothing like it for achieving that totally flawless base as far as I'm concerned. 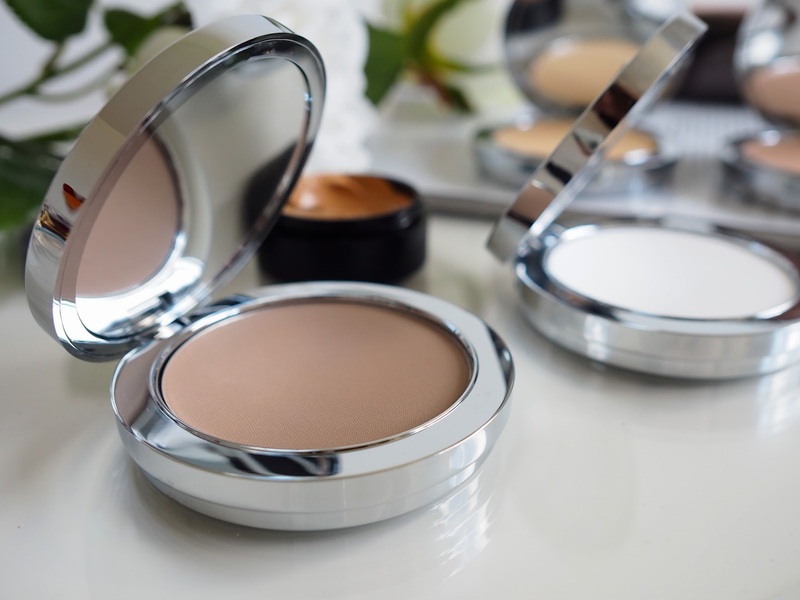 A multi use product which has been hyped up throughout the industry is the Compact Deluxe Banana Powder, which can be used for evening skin tone and disguising redness, baking the skin and evening out fine lines, disguising under eye circles and mattifying an oily complexion. This powder is really delicate and fine, and a little bit goes a really long way. 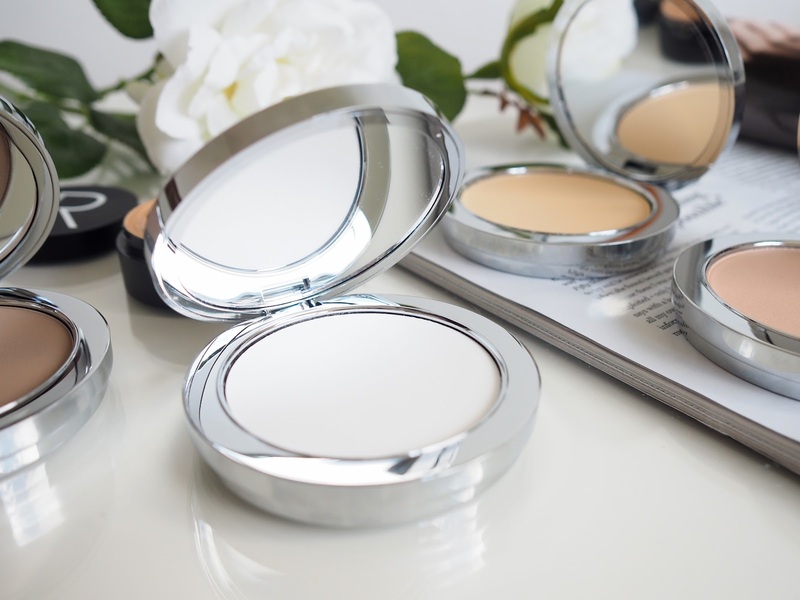 Being pale with slightly warm toned skin, I haven't reached for a yellow powder before through fear it just wouldn't work for me, but when gently buffed into the skin this can transform a look like no other powder I have used before. I mostly use this to set my under eye concealer by applying generously and allowing it to bake for a while, before dusting away the excess. 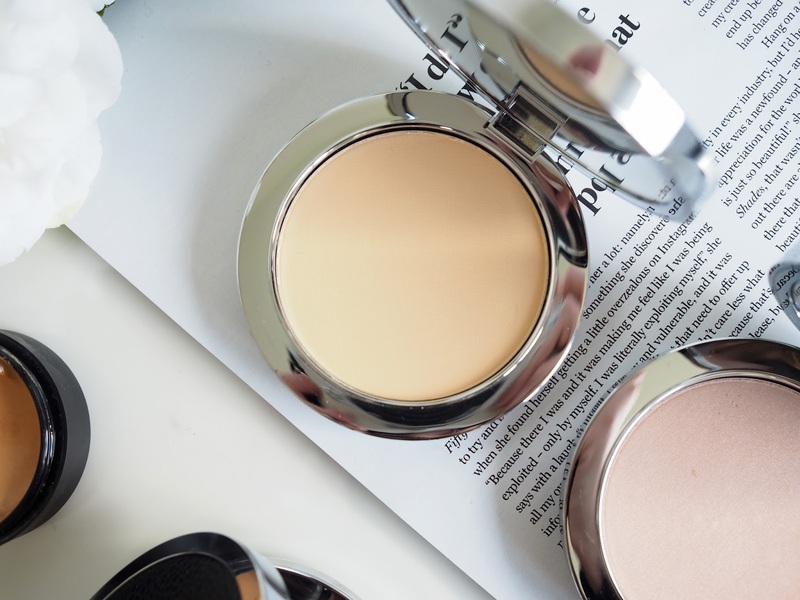 This method helps to disguise my dark circles and keep the concealer in place throughout the day, while also acting as a matte and natural highlight across my cheekbones. The Translucent HD Powder is the exact same formula as the banana powder, it's so soft, so fine and so wonderful on the skin. When applied, this leaves the skin feeling velvety soft and smooth, mattifies any shine and blurs imperfections. 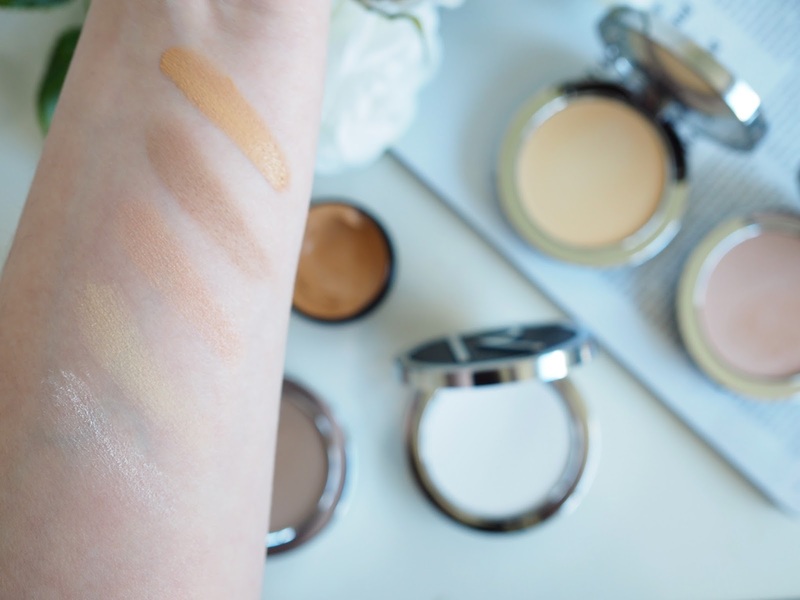 Despite being white in the pan, when applied this is completely invisible, meaning you can apply it on top of any makeup to set and no one will even know, they will just assume you have perfect skin. I use this lightly applied on my T-Zone to combat any oiliness and it always ensures that my makeup stays in place all day. 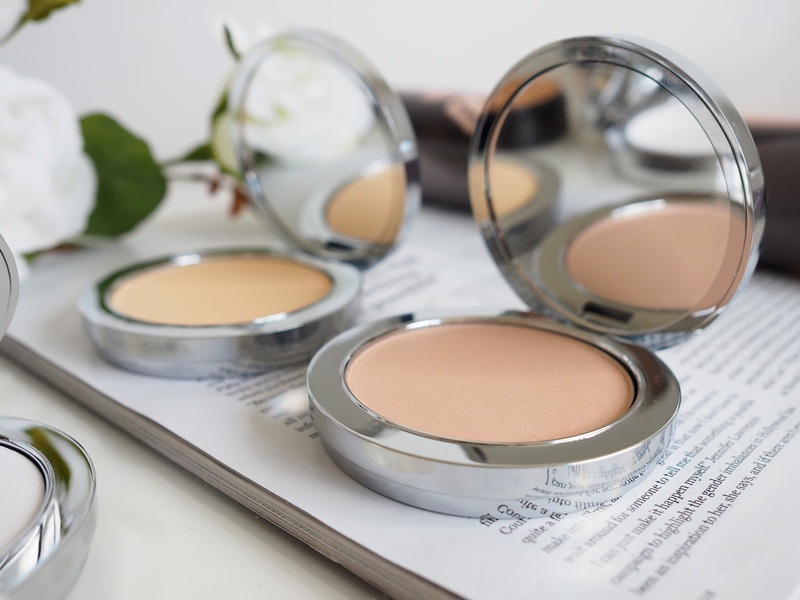 One of my favourite products has to be the Deluxe Contouring Powder, which surprisingly only comes in one universal shade. This would usually put me off, but it really does work for me (I'd be very interested to hear how it works for you if you're darker skinned than I am). On my skin it's really natural and easy to blend with a medium matte finish which is perfect for sculpting and contouring those cheekbones. It can be applied lightly for a natural shadow effect or easily built up for something more dramatic for evening. Lastly, and possibly saving the best until last is the Deluxe Illuminating Powder, which again is available in only one universal shade, a beautiful opalescent champagne tone. Thanks to micronization technology and fine peals this powder gives such a silky texture to the skin and applies evenly making the skin look naturally lit and smooth. I like to use this along my cheekbones and centre of my nose to gives the most stunning glow to my skin and really brighten my face... it's what I'd describe as a natural but better highlight. Have you tried anything from the Rodial makeup range? I can't wait to try more!